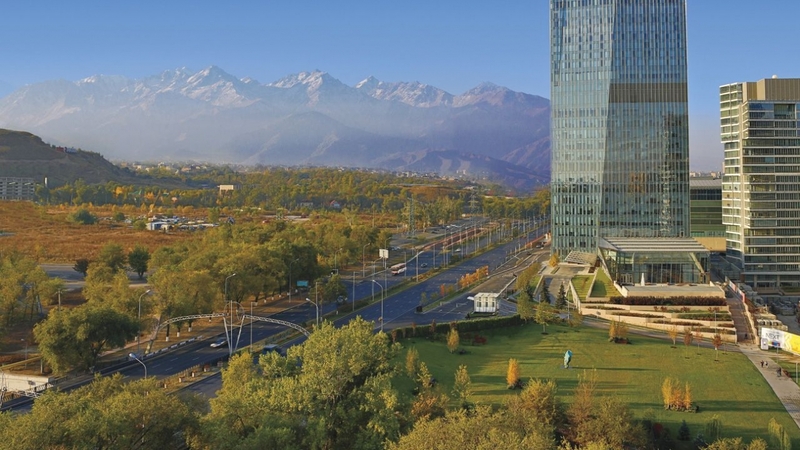 This luxury 5-star hotel is located on the foot of Alatau Mountains in Almaty and features a spa centre, an indoor pool and a fitness centre. 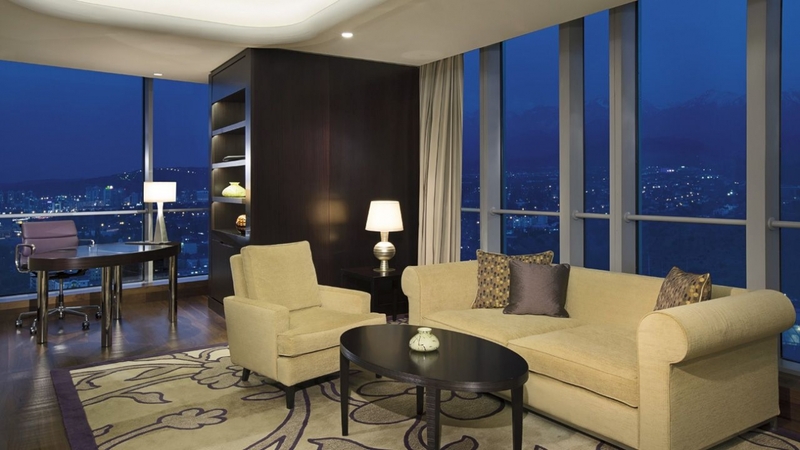 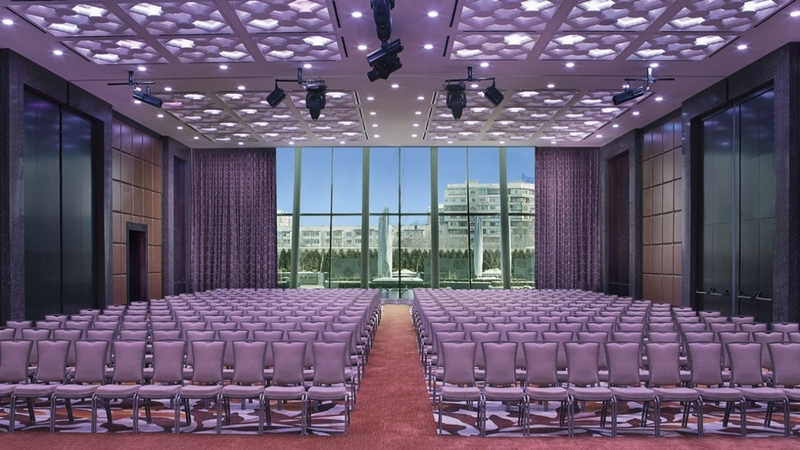 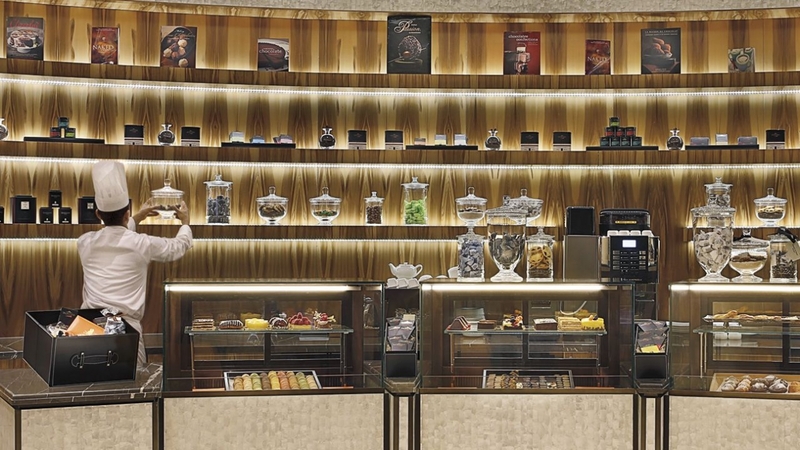 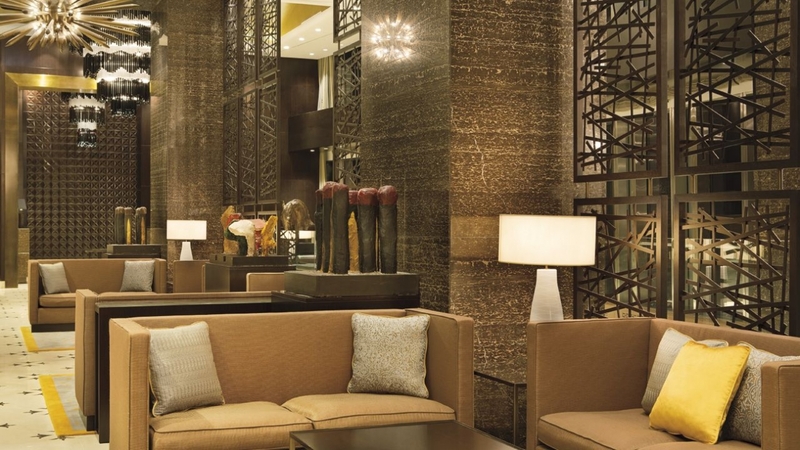 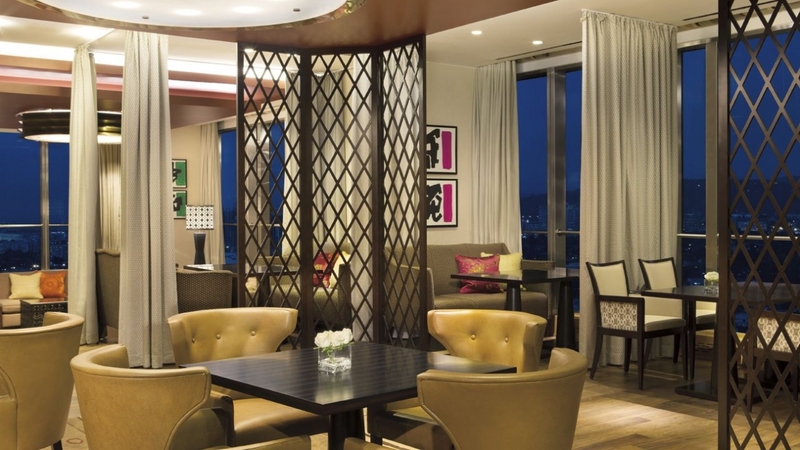 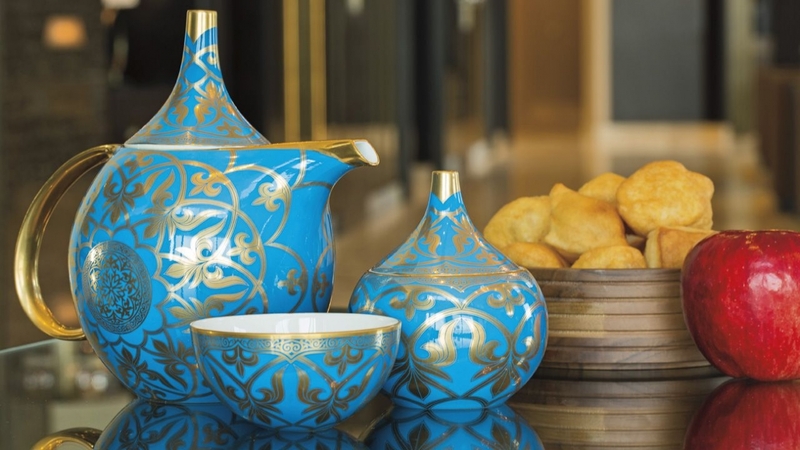 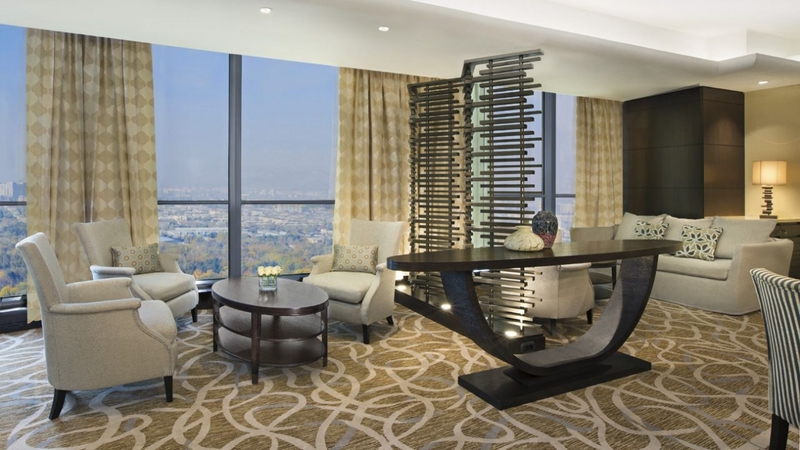 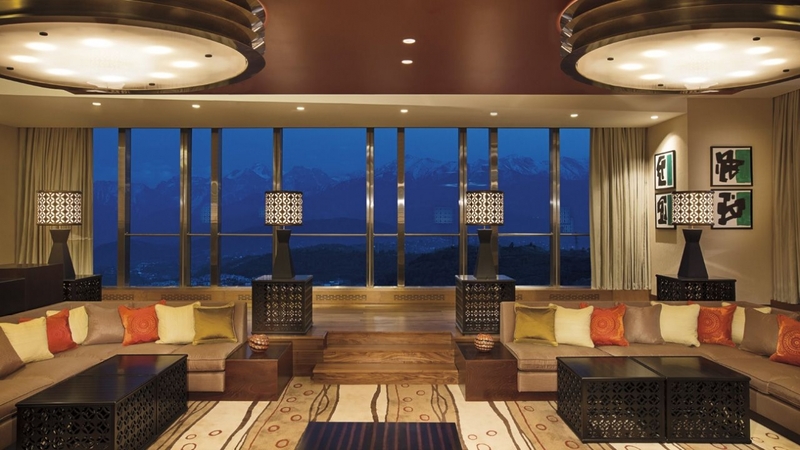 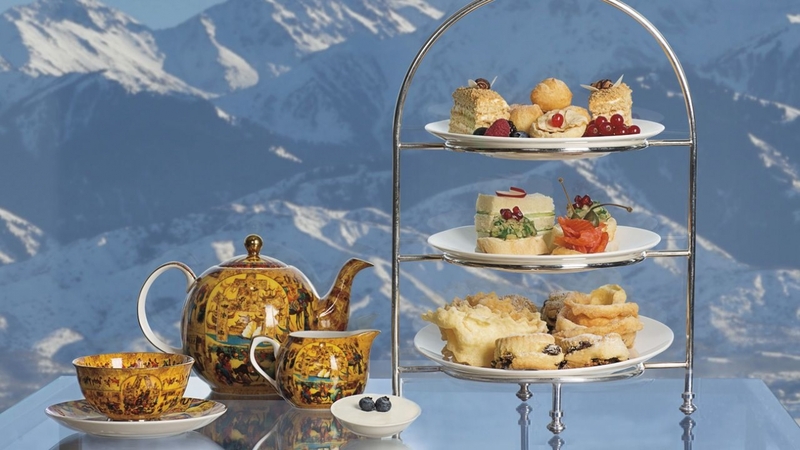 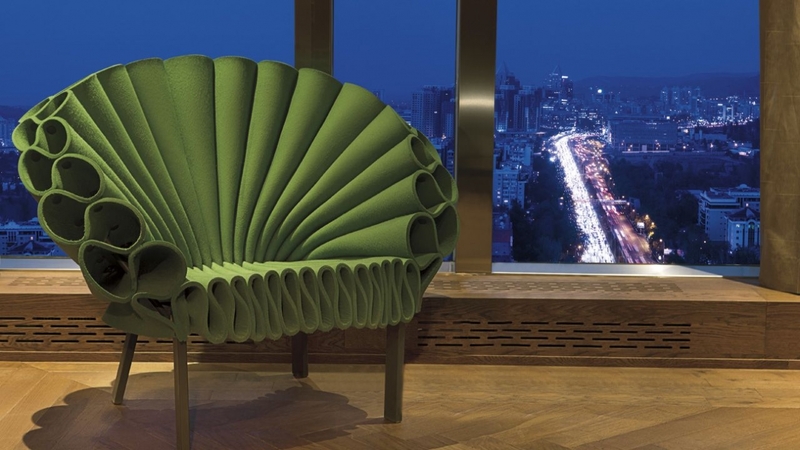 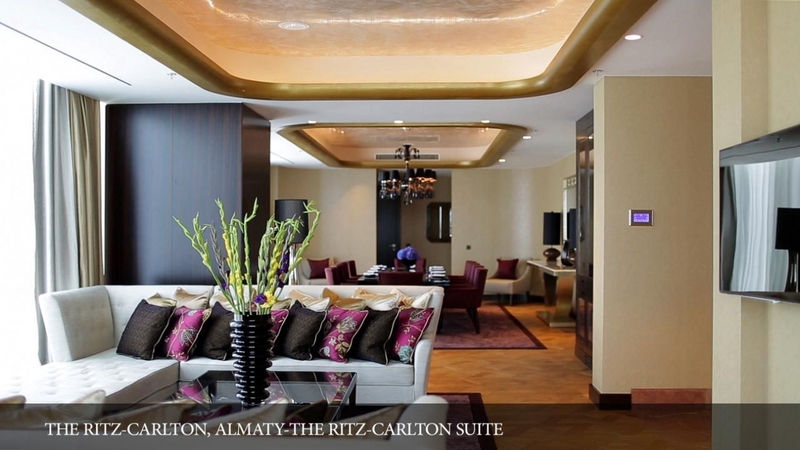 Free Wi-Fi is provided at The Ritz-Carlton, Almaty. 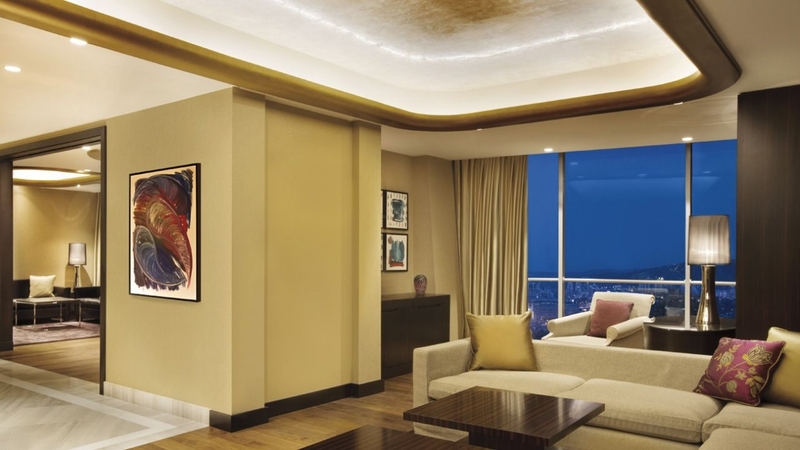 The spacious, air-conditioned rooms are decorated in warm colours. 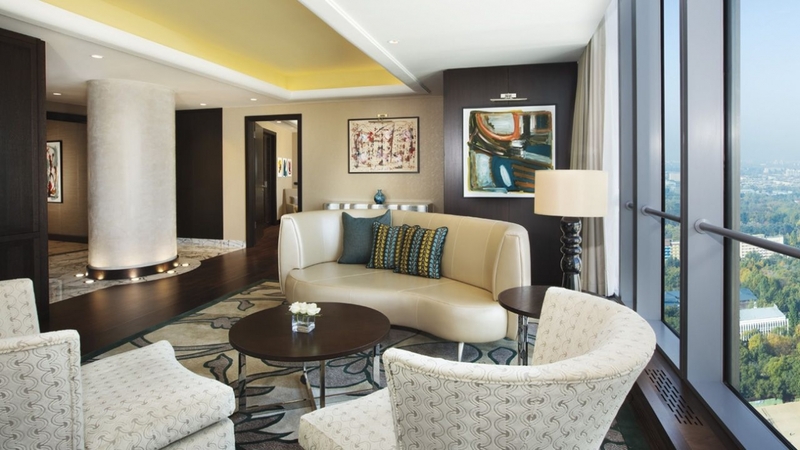 Each elegant room includes a flat-screen TV and a marble bathroom with a rain shower. 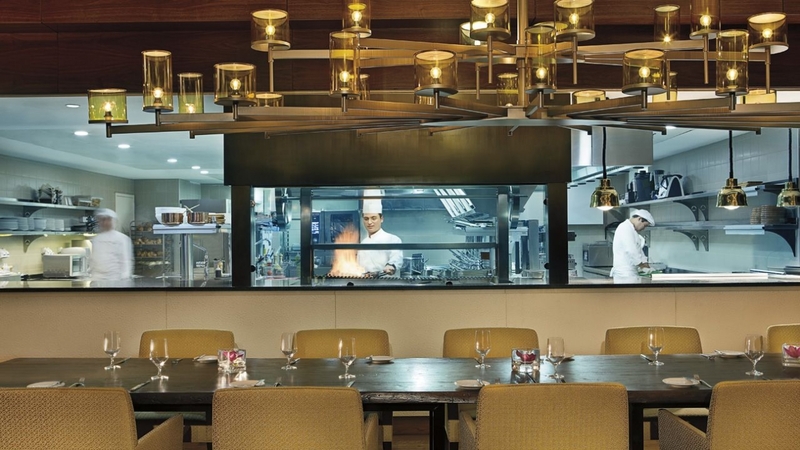 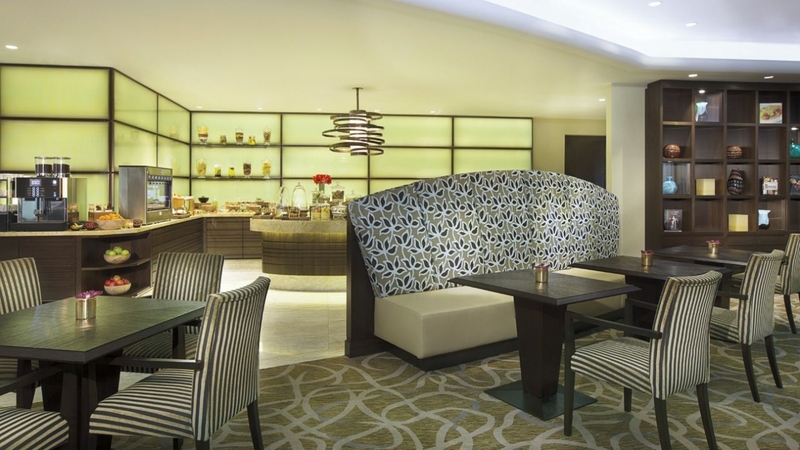 The on-site Laurent Tourondel Restaurant boasts its open kitchen and meat specialties. 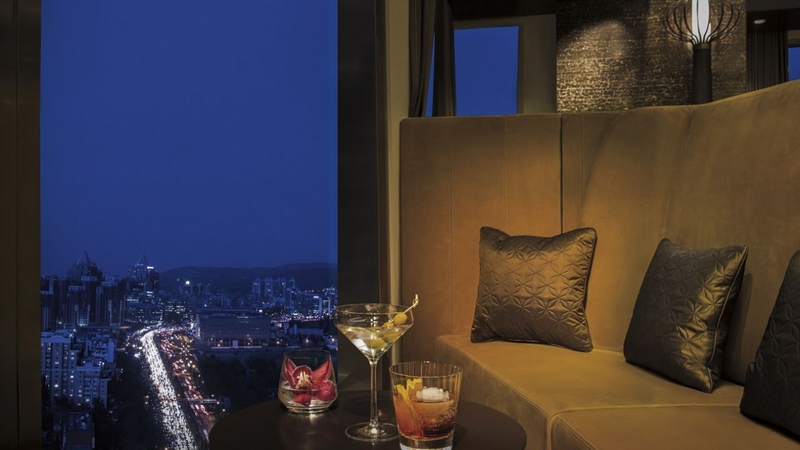 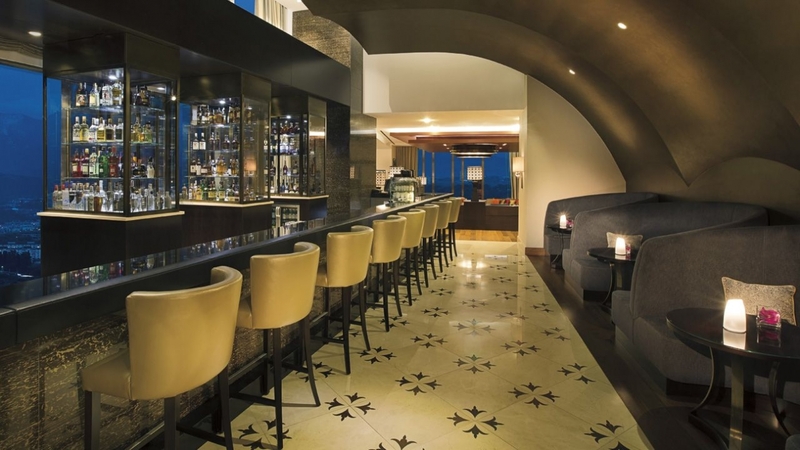 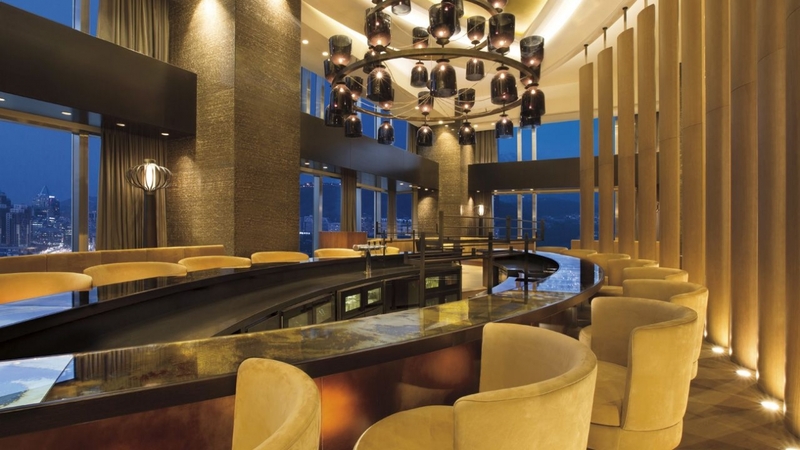 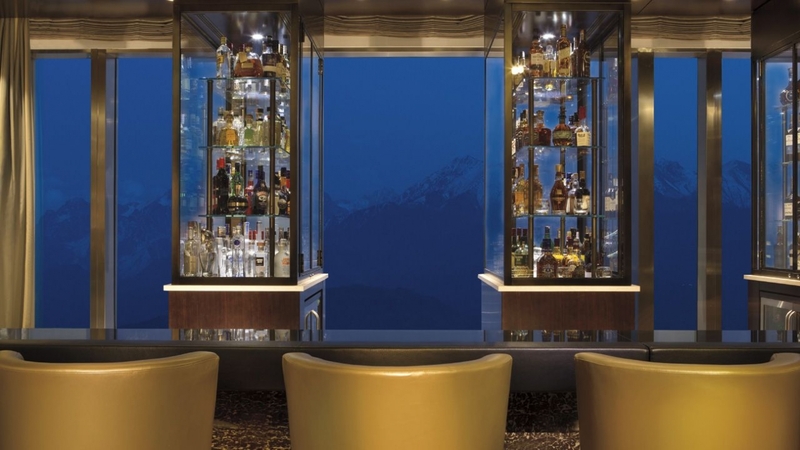 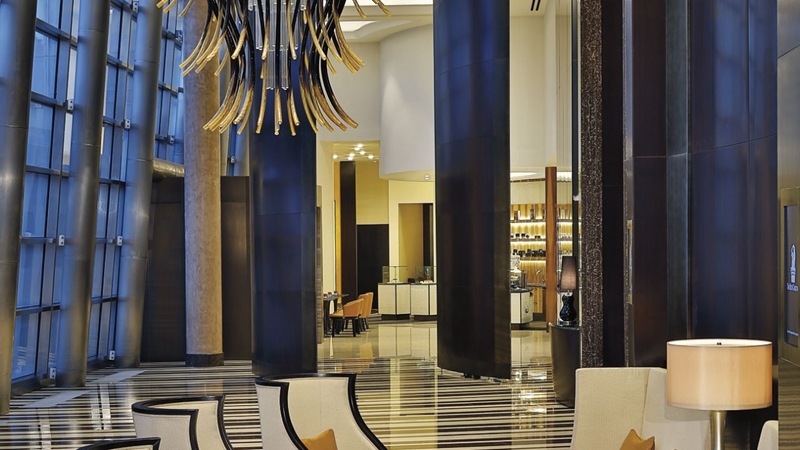 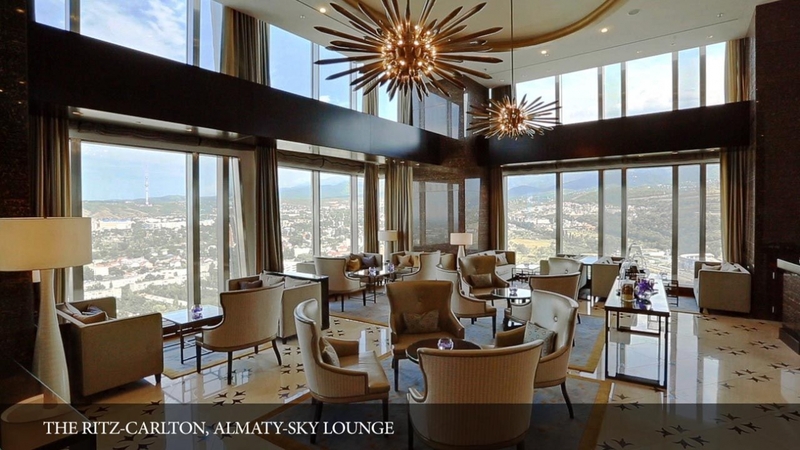 Guests can also enjoy a drink at the Sky Lobby and Lounge. 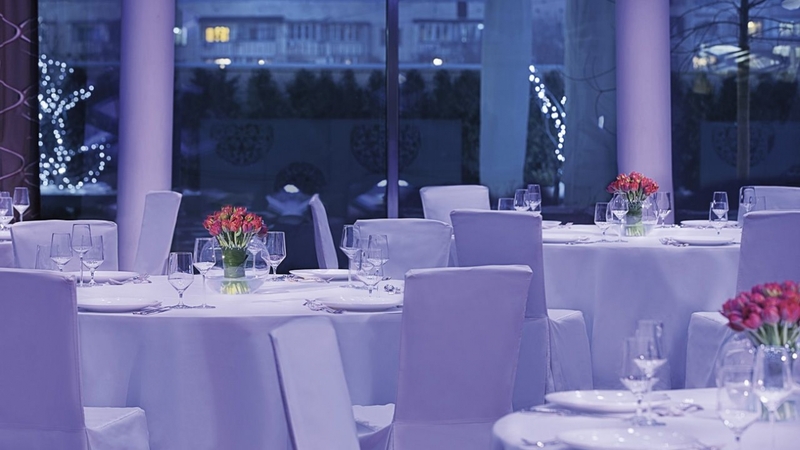 Several other dining options are also available. 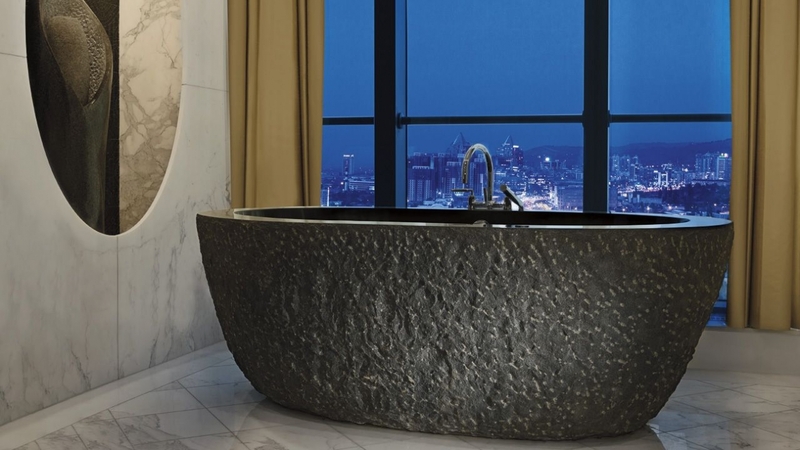 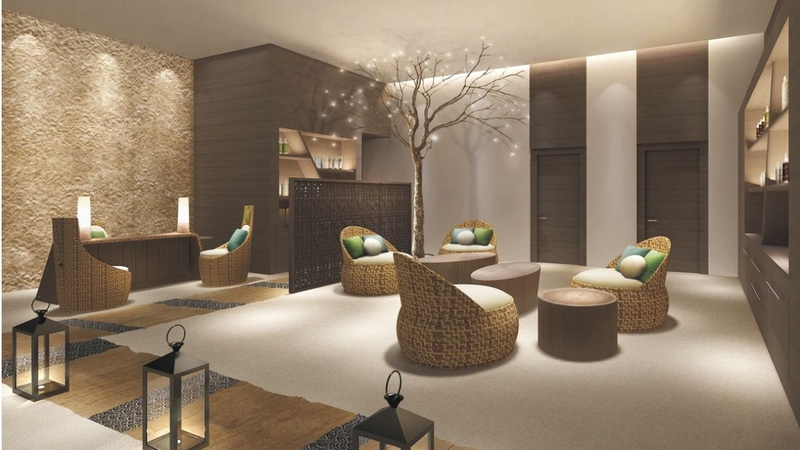 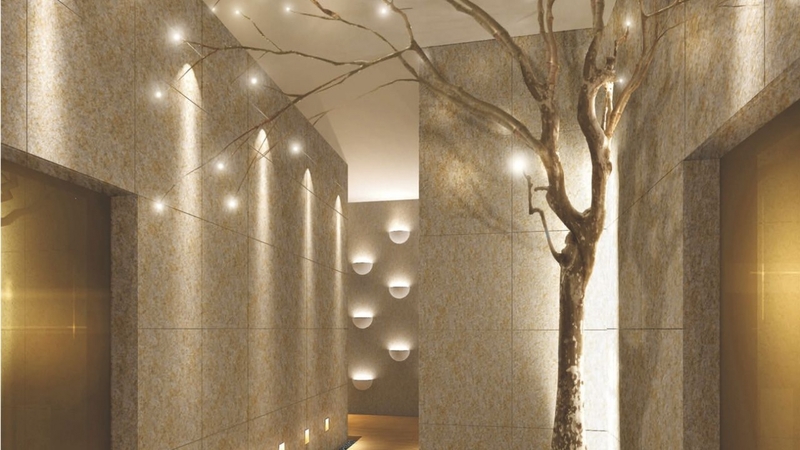 The hotel’s recreation and relaxation facilities include an opulent Six Senses Spa, featuring 4 private rooms, including special salt and oriental treatment rooms, dedicated relaxation areas, saunas, steam rooms and an oriental hammam. 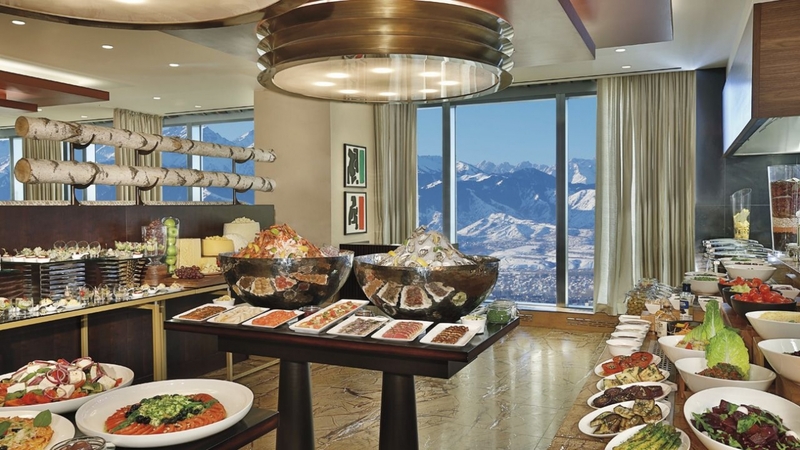 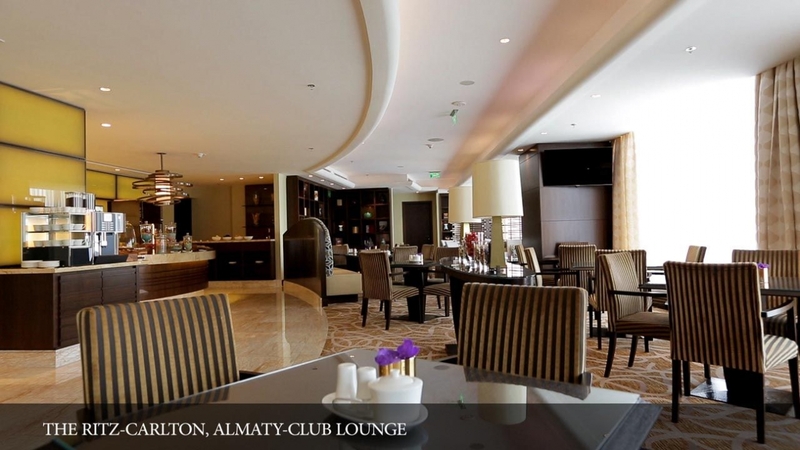 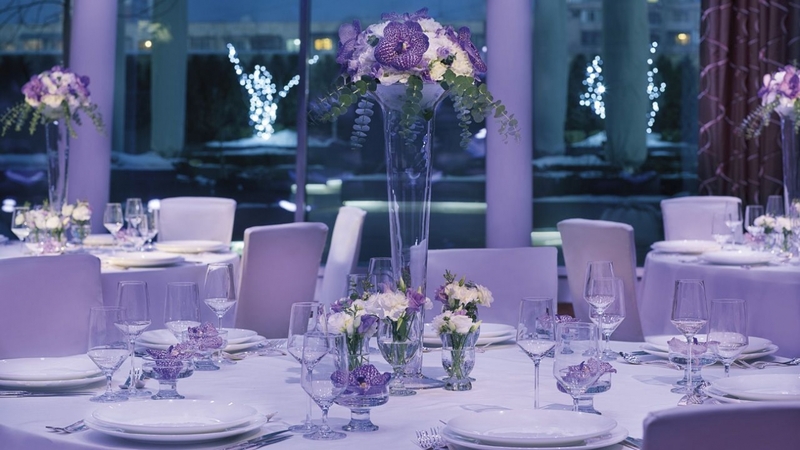 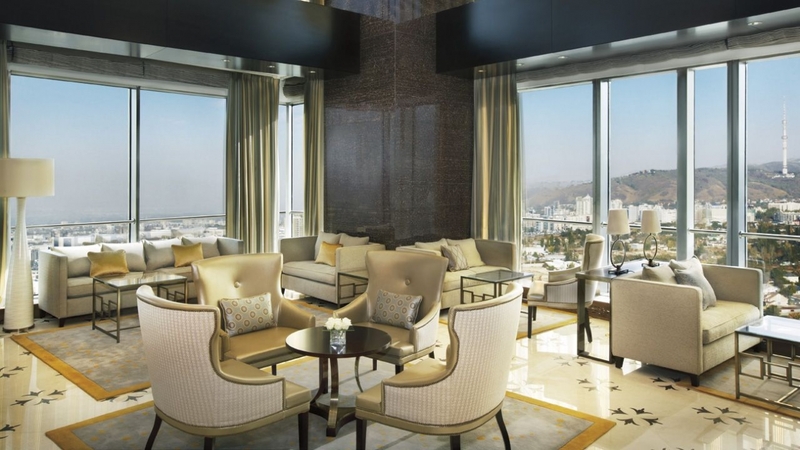 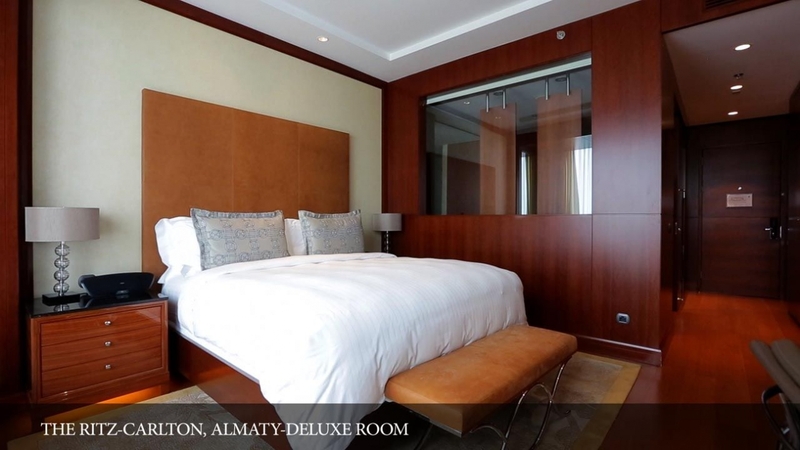 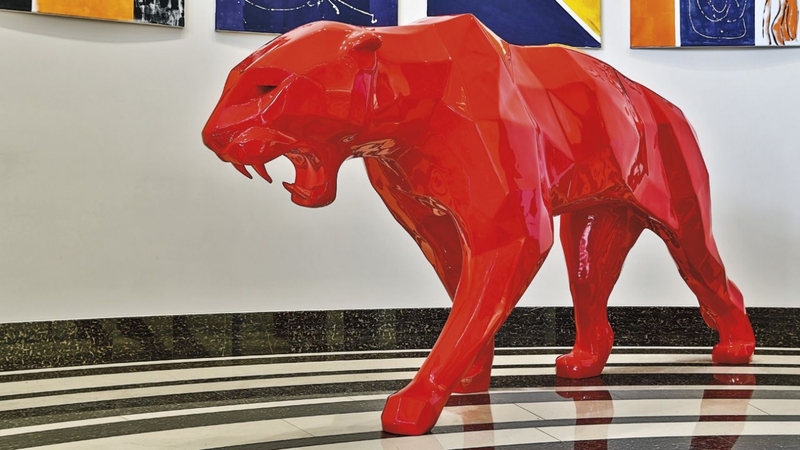 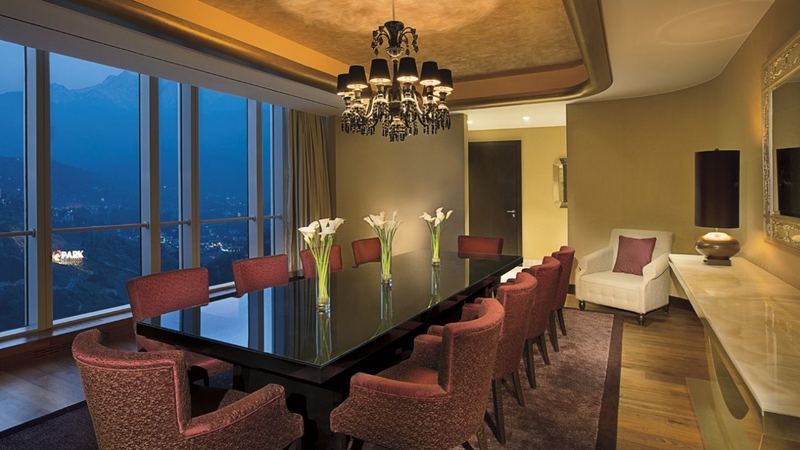 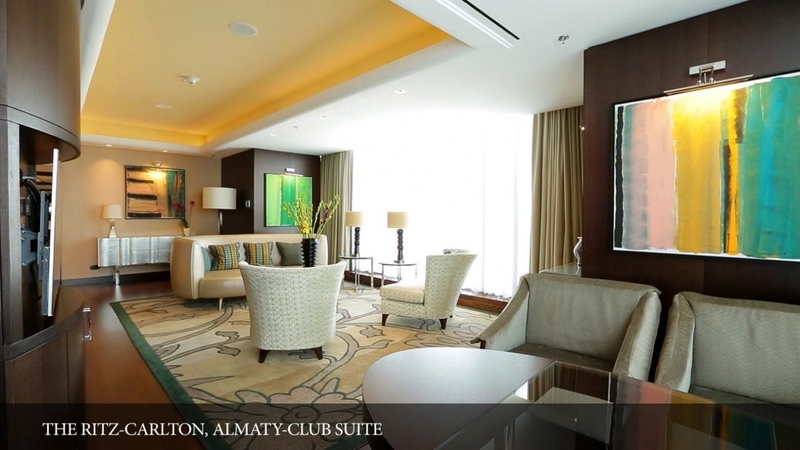 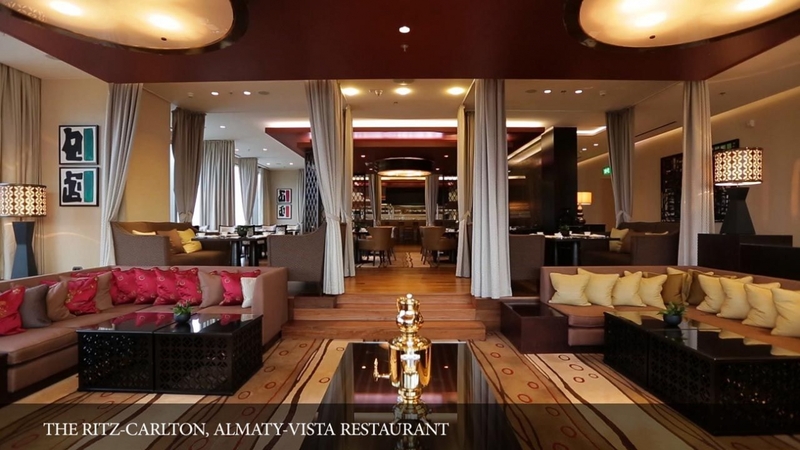 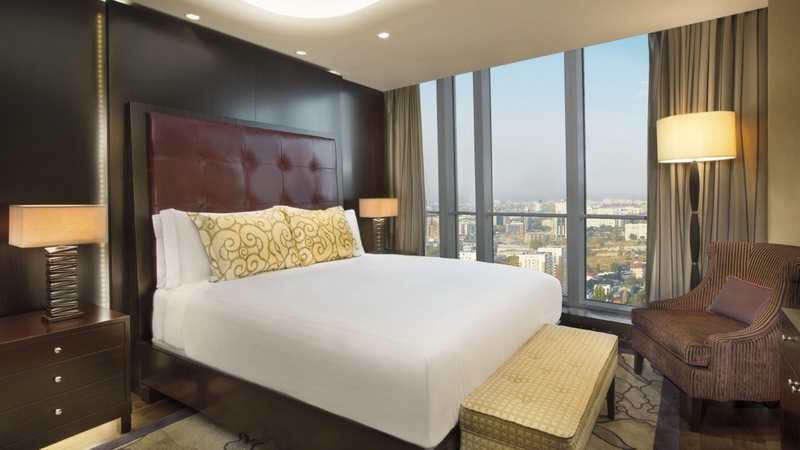 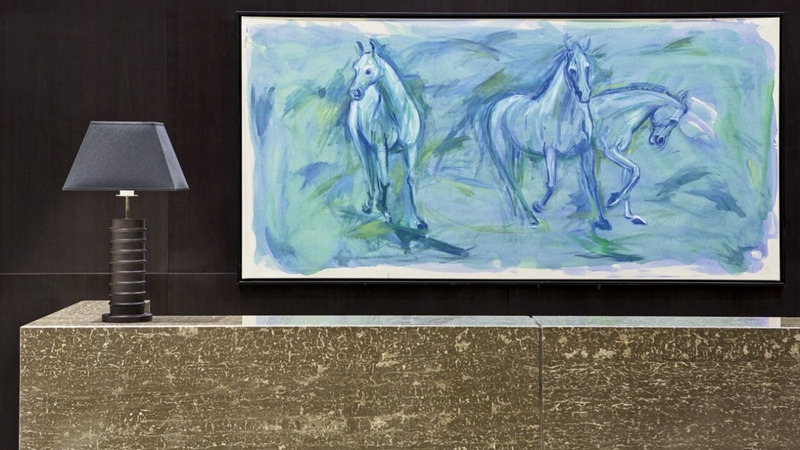 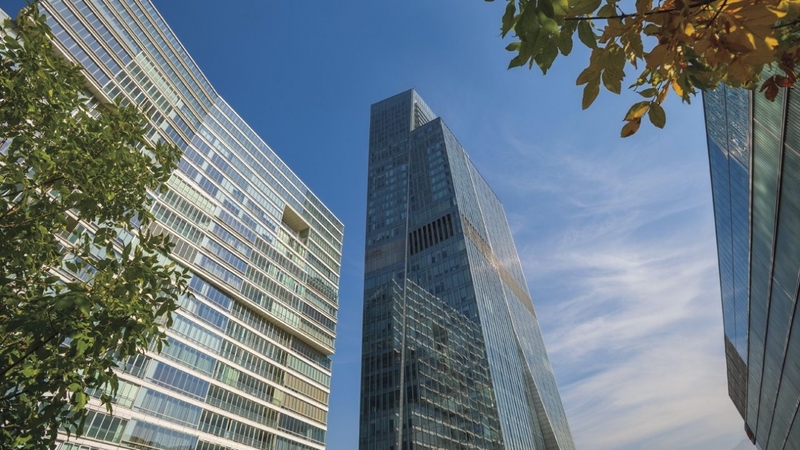 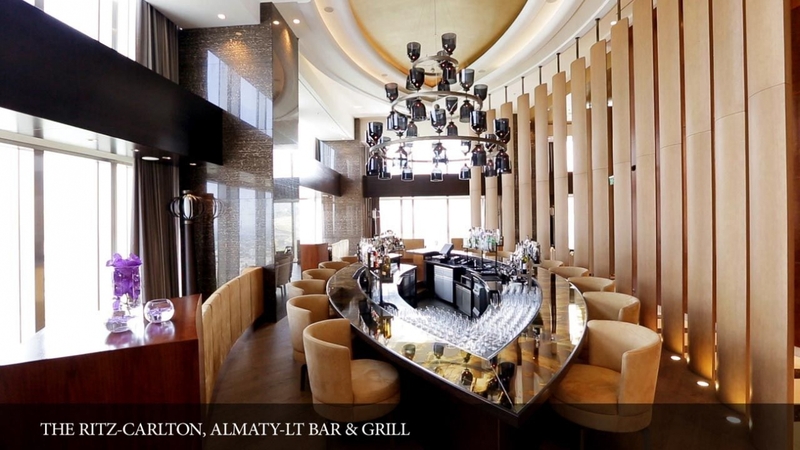 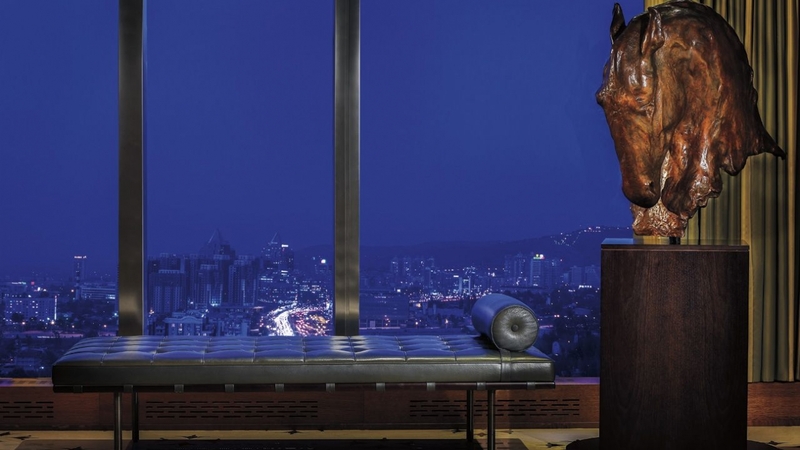 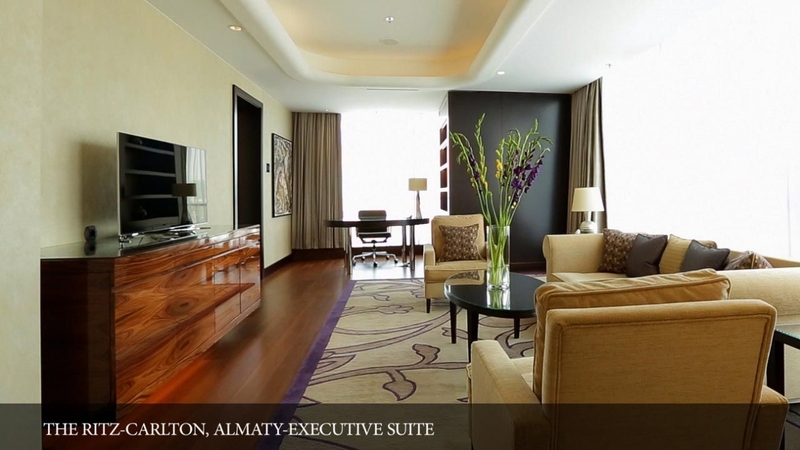 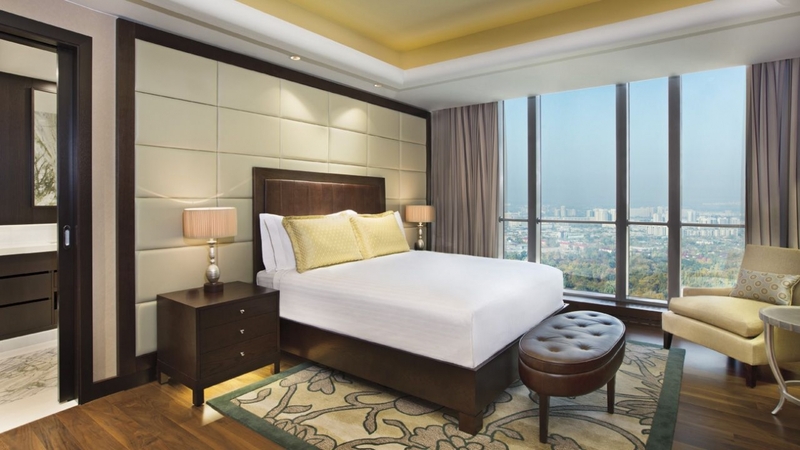 Almaty city centre is a 10-minute drive from The Ritz-Carlton, Almaty. 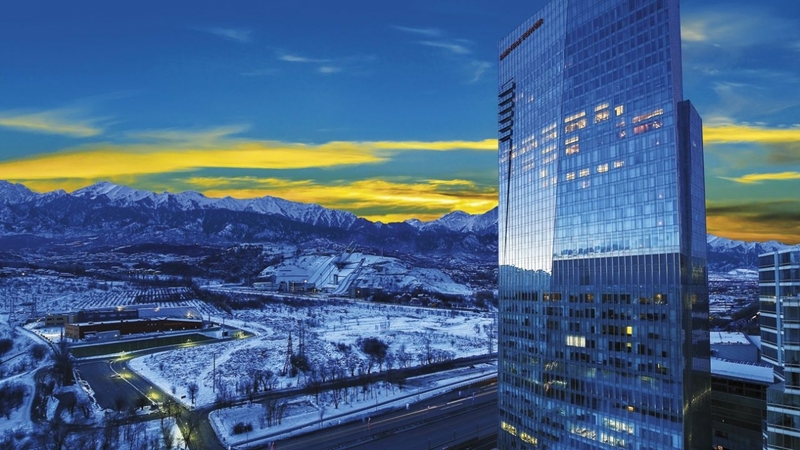 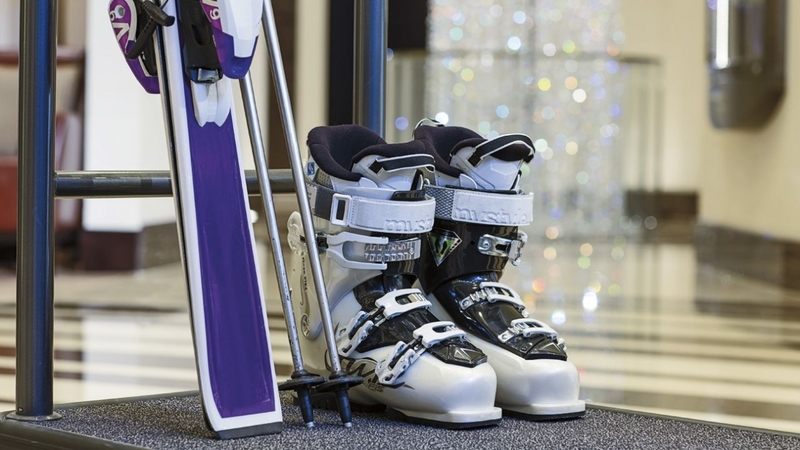 Shymbulak Ski Resort is a 30-minute drive away, and Almaty International Airport is 15 km from the hotel.